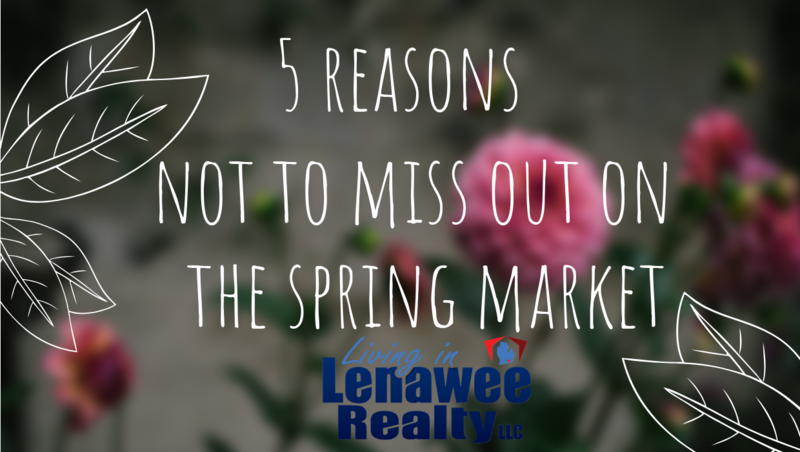 Spring is the time to list! In the most recent update from National Association of Realtors (NAR) shows that buyer demand remains robust in the majority of the country. Buyers are able and ready to purchase right now. More often than not, there are multiple offers on a single home. Buyers end up spending more time than they would like looking for their home, so are quick to put in an offer. Housing inventory is still under the 6 month supply needed for a typical housing market. That means in most of the country there are not enough homes for how many buyers are actively looking. The average time a person lives in there home has went from 6 years to 9 since 2011. Most of this is due to people wanting to sell, but not having the freedom to do because of negative equity. Now having a pent up desire to move! As home values start to appreciate more and more, homeowners will have the freedom to move. It is predicted that more houses will go on the market as time goes on, giving buyers more choices in houses. Don’t wait until there is more inventory on the market to list. More and more buyers are better prepared to put an offer on a home with pre-approval for loans. This expedites the process to the closing table and smooth. According to Ellie Mae’s most recent Insight Report, the time it takes to close a loan has lessened to 47 days. Now is the Time to Move on up! Are you in your first starter home and looking to move up? Inventory of homes at higher prices has created a buyer’s market. If you’re planning to sell a starter home, it should sell quickly with a larger inventory for you to choose from. It’s a win-win. According to Core-logic, prices are predicted to appreciate by 4.6% over the next year. If you are planning to buy a home, spend less by moving now! Now may be the perfect opportunity financially to move, but every situation is unique. You have to weigh out what must be a priority in your situation now. Is it better to make more money now and put other things aside? Keep in mind the time of year you would like to move in as well. Listing your home later with more competition could mean more days on the market, and push your move out into the cold, wintery months! Your timeline is our timeline. If you’re looking to make your moving process fun and painless as possible, be sure to Make Your Move with the Montalvo’s. We may not be the biggest, but we’re the best. We are 3rd generation Lenawee County natives and know our market! Want yo know how much your home is worth? Contact us today! See what’s on the market in your neighborhood!